The research area is nuclear structure physics. The basic idea is to create 'exotic' atomic nuclei in excited quantum states and study them with observables arising from their decay by detecting the emitted gamma-ray and particle radiation. In this context, the word 'exotic' implies unusual if not new combinations of proton and neutron numbers - for instance, 'the mysterious substance called element 115'. The experimental observations are confronted with predictions based on contemporary nuclear structure models to advance the understanding of the many-body quantum system called 'atomic nucleus'. Here, close interaction with the theorists from the Division of Mathematical Physics is a long-standing asset. Experiments are conducted at international large-scale particle accelerator facilities within medium-sized international collaborations. Tailored radiation detectors are developed, constructed, and tested in Lund. Subsequently they are exploited within experimental campaigns at existing and planned (European) research centers. For experiments led by our group, the comprehensive and complicated analysis of terabytes of experimental data is done in Lund. Some examples are outlined in more detail in the PhD and research projects. 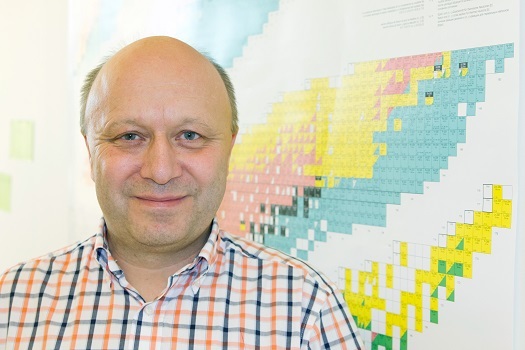 A recent highlight concerns the production, observation, and spectroscopy of 30 atomic nuclei of element 115, recently named moscovium. In October 2015 the group received a prestiguous grant from the Knut and Alice Wallenberg foundation to ChaSE Lundium, and in June 2016 we hosted the Nobel Symposium NS160 - Chemistry and Physics of Heavy and Superheavy Elements. Såmark-Roth, A., Sarmiento, L. G., Rudolph, D., Ljungberg, J., Carlsson, B. G., Fahlander, C., Forsberg, U., Golubev, P., Ragnarsson, I., Ackermann, D., Andersson, L. L., Block, M., Brand, H., Cox, D. M., Di Nitto, A., Düllmann, C. E., Eberhardt, K., Even, J., Gates, J. M., Gerl, J. & 28 othersGregorich, K. E., Gross, C. J., Herzberg, R. D., Heßberger, F. P., Jäger, E., Khuyagbaatar, J., Kindler, B., Kojouharov, I., Kratz, J. V., Krier, J., Kurz, N., Lommel, B., Mistry, A., Mokry, C., Omtvedt, J. P., Papadakis, P., Runke, J., Rykaczewski, K., Schädel, M., Schaffner, H., Schausten, B., Thörle-Pospiech, P., Trautmann, N., Torres, T., Türler, A., Ward, A., Wiehl, N. & Yakushev, A., 2018 Oct 9, In : Physical Review C. 98, 4, 11 p., 044307. Di Nitto, A., Khuyagbaatar, J., Ackermann, D., Andersson, L. L., Badura, E., Block, M., Brand, H., Conrad, I., Cox, D. M., Düllmann, C. E., Dvorak, J., Eberhardt, K., Ellison, P. A., Esker, N. E., Even, J., Fahlander, C., Forsberg, U., Gates, J. M., Golubev, P., Gothe, O. & 44 othersGregorich, K. E., Hartmann, W., Herzberg, R. D., Heßberger, F. P., Hoffmann, J., Hollinger, R., Hübner, A., Jäger, E., Kindler, B., Klein, S., Kojouharov, I., Kratz, J. V., Krier, J., Kurz, N., Lahiri, S., Lommel, B., Maiti, M., Mändl, R., Merchán, E., Minami, S., Mistry, A. K., Mokry, C., Nitsche, H., Omtvedt, J. P., Pang, G. K., Renisch, D., D. Rudolph, Runke, J., L. G. Sarmiento, Schädel, M., Schaffner, H., Schausten, B., Semchenkov, A., Steiner, J., Thörle-Pospiech, P., Trautmann, N., Türler, A., Uusitalo, J., Ward, D., Wegrzecki, M., Wieczorek, P., Wiehl, N., Yakushev, A. & Yakusheva, V., 2018 Sep 10, In : Physics Letters, Section B: Nuclear, Elementary Particle and High-Energy Physics. 784, p. 199-205 7 p.